St Andrew’s War Memorial Hospital has launched a new Clinical School campus in Spring Hill, Brisbane, to help train new Queensland doctors. 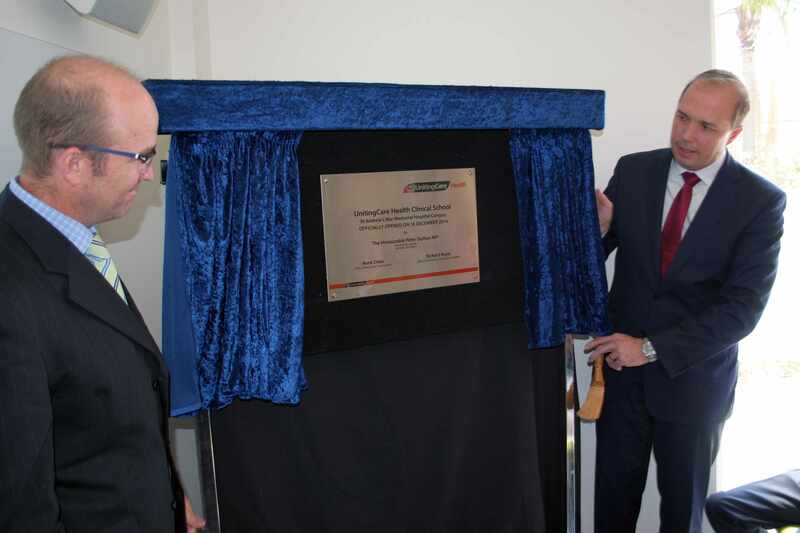 Federal Minister for Health and Minister for Sport Peter Dutton officially opened the UnitingCare Health Clinical School on 16 December 2014. The new St Andrew’s campus, together with The Wesley Hospital and The Sunshine Coast Private Hospital campuses, are part of the UnitingCare Health Clinical School which trains 400 medical students across the state each year. The $1.2million restoration and renovation of an historic house in Leichhardt Street Spring Hill to create the campus was jointly funded by the Federal Government, UnitingCare Health and The University of Queensland. UnitingCare Health Executive Director Richard Royle thanked St Andrew’s War Memorial Hospital’s General Manager Andrew Barron for leading the vision to rebuild the historic site. “For UnitingCare Health, education, training and research are fundamental parts of what we do – and this matches well with our values of working together and leading through learning,” Mr Royle said.